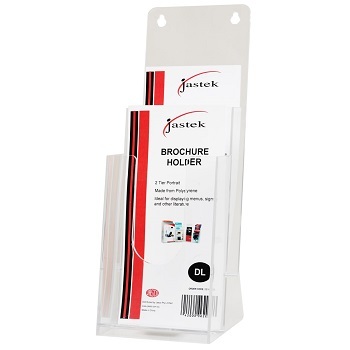 Quality 2 Pocket/Tier DL (1/3 A4) Brochure Holder. Great for displaying multiple brochures and phamplets at trade shows, office front desks, banks and retail stores. 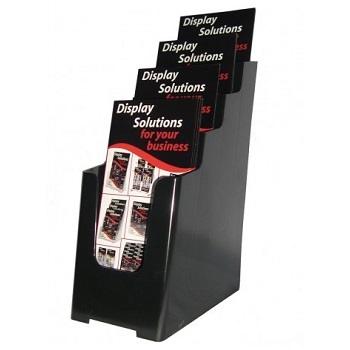 Quality 4 Pocket/Tier DL (1/3 A4) Brochure Holder. Display your brochures unobtrusively using this 4 tier DL size, recycled plastic brochure holder. 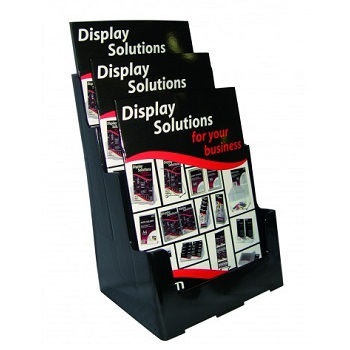 Quality 4 Pocket/Tier A5 Brochure Holder. 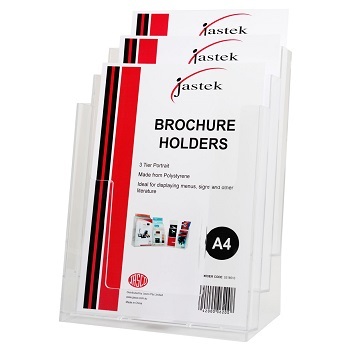 Quality 3 Pocket/Tier A4 Brochure Holder. 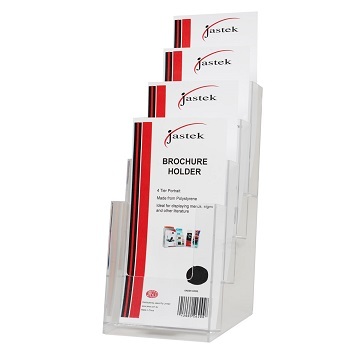 Display your brochures unobtrusively using this 4 tier A4 size, recycled plastic brochure holder.